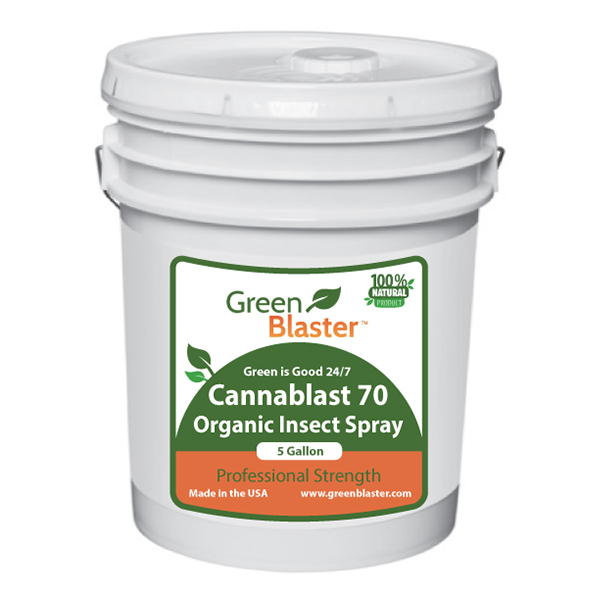 Cannablast 70 Organic Insect Spray is the highly effective, environmentally safe, natural solution for pest control in agricultural growing and cultivation operations. Whether your challenge is Thrips, Spider Mites, Russet Mites, Fungus Gnats or Aphids – Cannablast is your safe choice, your natural choice for effective insect pest control with no risk to you. Spider mites stress damage crops by ingesting chlorophyll leaving white or yellow spots and slowing plant growth. Spider Mite webs on leaves and buds are difficult to clean and can make plants unusable. Aphids, the small yellow flying insects that often reside on the underside of plant leaves, have a rapid reproductive cycle often measured in hours, not days. Add to this the fact that they aphid feces attracts many common ants and you’ve got a double barrel problem. Like Spider Mites, Aphids consume crop nutrients thereby stressing and slowing the growth of the plant, and, have been reported to spread viruses which may stunt growth and retard flowering. Fungus Gnats colonize around stems and soil. Though small in size they can be big in impact as they challenge root systems and weaken plants, sometimes significantly slowing flowering and reducing the usable crop yield. One of the more common pests for indoor agro-cultivators are Thrips. These pests feed on the sap produced by your plants causing stress, slower growth and diminished crop yield. Appearing initially like small worms, when mature Thrips will lay eggs on their ‘home’ plant, then fly to adjacent and nearby plants to lay additional eggs. Cannablast 70 Organic Insect Spray controls all of these pests and kills their eggs so even if your plants are already under attack, Cannablast is your most effective weapon. 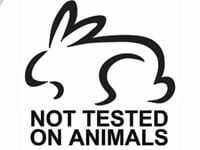 The Cannablast Organic Insect Spray formulas are environmentally safe, completely biodegradable solution for pest management in agriculture growing and cultivation whether indoors or out. A single spray application will control pests for an extended interval (see below for more info), and, can be effectively removed with a simple water spray at harvest. Cannablast Organic Insect Spray is also shown to boost nitrogen levels in soil and enhance nutrient uptake in the root system providing a production boost in addition to pest control. Available in three formulations for crop growth operations ranging from residential to commercial to hydroponic agriculture is your safe, environmentally sound, one-step solution to pest management. 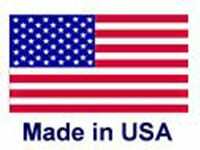 The Best Natural Stainless Steel Cleaner with Enzyme Power! GB’s natural stainless steel cleaner is formulated to remover grime, grease and germs to leave counters and appliances sparkling and streak free. 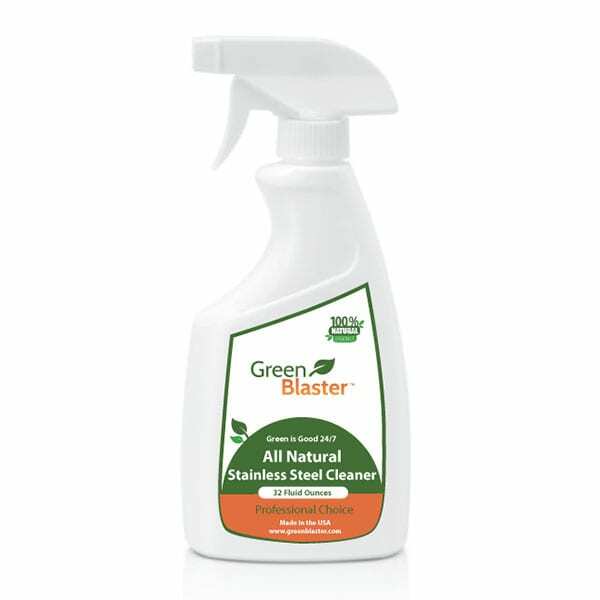 Save money, time and effort with the natural alternative to ammonia based products; make the safe choice, the biodegradable choice – Green Blaster! Bed Bug Magic works naturally to quickly and effectively kill bed bugs. 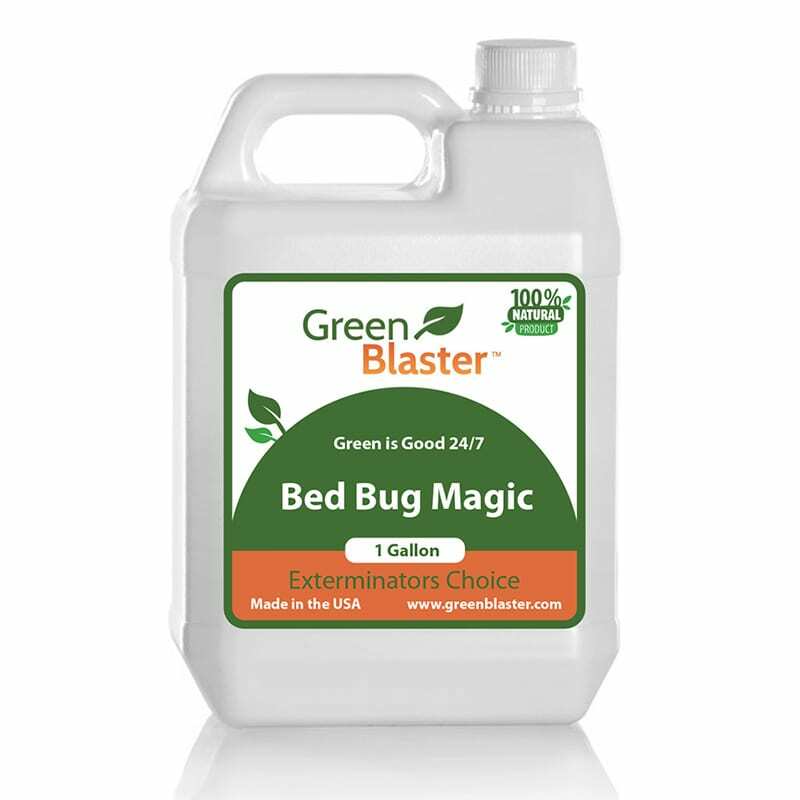 Bed Bug Magic is the natural bed bug spray for safely getting rid of bed bug infestations and many other insect pests without risk to you, children, pets and plants. *The common bed bug (Cimex lectularius) has long been a pest – feeding on blood, causing itchy bites and generally irritating their human hosts. The Environmental Protection Agency (EPA), the Centers for Disease Control and Prevention (CDC), and the United States Department of Agriculture (USDA) all consider bed bugs a public health pest. 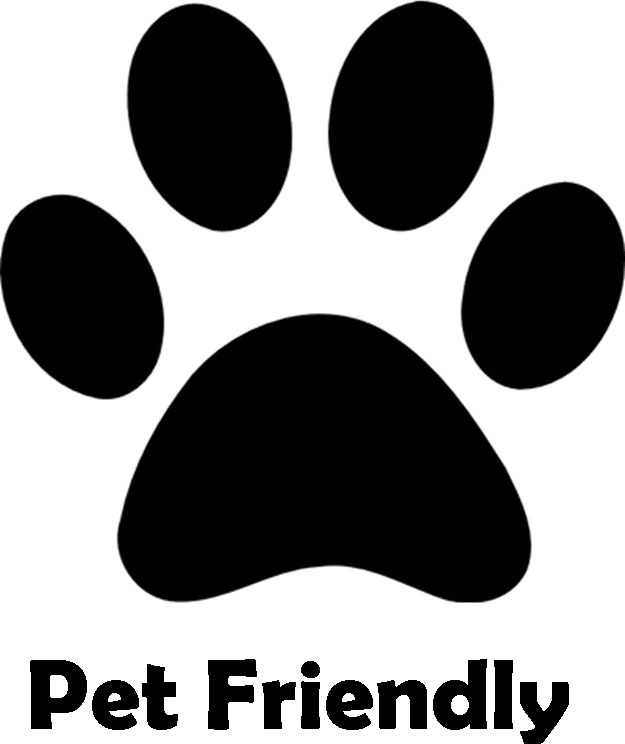 However, unlike most public health pests, bed bugs are not known to transmit or spread disease. Bed bugs can be hard to find and identify, given their small size and their habit of staying hidden. It helps to know what they look like, since the various life stages have different forms.